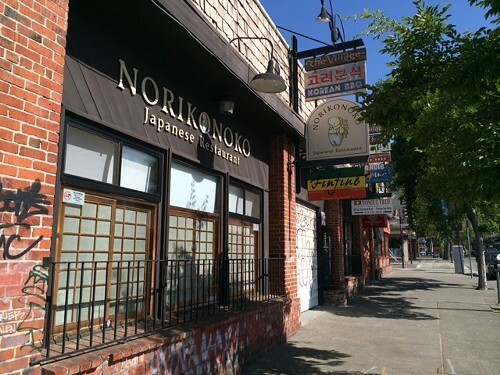 Good news for longtime customers of Berkeley’s Norikonoko (2556 Telegraph Ave.), a tiny Japanese restaurant that was shut down by a fire last October: The repairs are complete, the kitchen has been upgraded to get everything up to code, and the restaurant is finally ready to reopen. Owner Noriko Taniguchi told What the Fork that she’s aiming to open officially by the middle of June, but the restaurant will likely have a soft opening — quiet and unannounced, so that the crowds don’t come swarming in all at once — in the next week or two. According to Taniguchi, Norikonoko looks “brand new” after a fresh paint job, but the restaurant’s homey atmosphere — including all the little tchotchkes that Taniguchi has collected over the years — will remain the same. The home-style Japanese cooking will stay the same, too, but the menu will be pared down. Taniguchi and her husband, Takumi, will run the restaurant as a two-person operation, so they thought it best to simplify. Toward that end, they’ve eliminated most of the robata grill items and about half of the small-plate options. But all of the most popular dishes will still be available — the ramen, the udon, the pork curry, the onigiri (rice balls), and so forth. And in order to cater to customers with dietary restrictions, about 90-percent of the new menu will be gluten-free. “We want to concentrate on the true Japanese taste,” Taniguchi said. And if one of your favorite dishes didn’t make the cut, there’s no need to be shy about asking for it anyway. “If I’m able to make it for you, I will,” Taniguchi said.